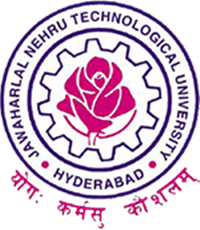 JNTUH Enhancement of fee for "Medium of Instruction Certificates"
The students approach the University for the issue of the certificate stating that the Medium of Instruction, during the tenure of their study is English which is needed for the studies in some of the foreign Universities. It is proposed to collect an amount of Rs.100/- for Medium of Instruction certificate on par with Migration certificate, in view of the hike in cost of printing of the certificate with security features. Under the circumstances as stated above, the Honb’le Vice Chancellor is pleased to permit to collect an amount of Rs. 100/- for Medium of Instruction certificate with effect from 01.12.2017.